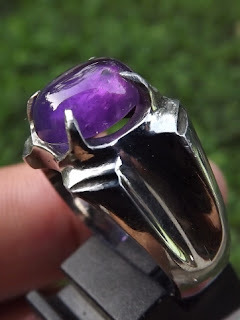 This is nice natural Purple Quartz, known as Amethyst. 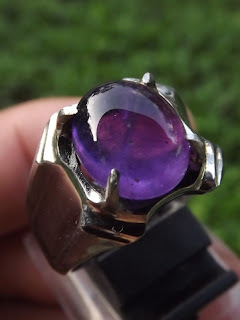 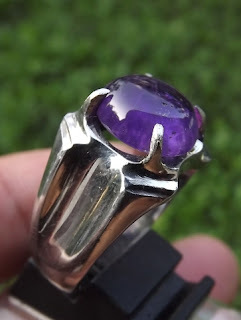 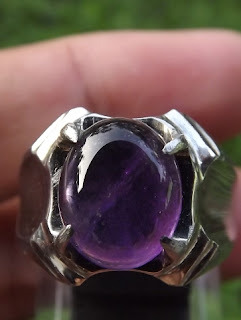 Indonesian called this gems as "Batu Kecubung". The gems is already set on a good 18,5mm "monel ring". 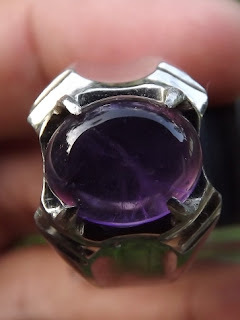 The size of the gems is (est) 11,5mm x 9,1mm x 4,5mm. Get this beautiful amethyst ring now!